Special Constable or paramedic sir? 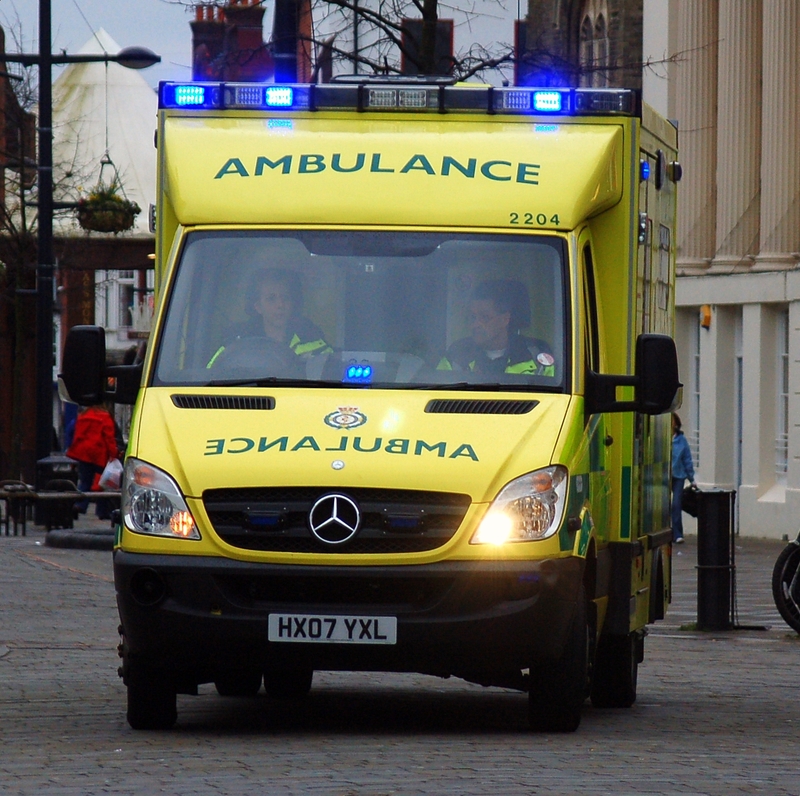 Would you be happy if a Special Constable arrived rather than a paramedic? A pilot scheme has been launched in Hampshire which will see six Special Constables serving as First Responders for the Ambulance Service. The Specials who have been trained by paramedics will be deployed to carry out initial lifesaving treatment at medical emergencies where an ambulance may not be able to attend in time. The training provided by Southern Central Ambulance Service (SCAS) provided the Specials with basic lifesaving skills including the use of oxygen and a defibrillator in cases of cardiac arrest. The idea is that the Specials could be the closest medically trained person to an incident which would mean a response in minutes which might save lives in cases such as cardiac arrest. Clearly where time is of the essence it is better to have someone on scene who can provide treatment until the ambulance services can reach the scene. We would however be concerned that decisions on the need for an ambulance attending at all, when the service is overstretched, might be left to the first attender. The Special Constables will be classified as First Responders when deployed by the ambulance service to avoid the potential of an IPCC investigation in the event of a death which would typically be investigated as a death following police contact. The pilot scheme raises questions as to whether it is papering over the cracks of a broken ambulance service when police officers are struggling to respond to their own 999 calls. This pioneering initiative joining up the emergency services will combine the roles of PCSOs and retained firefighters. The scheme will see PCSOs trained up as retained firefighters so that they can carry pagers and respond to fire calls when they are on duty as PCSOs. The cover provided by the officers is particularly valuable during weekdays when the fire service struggle to cover retained stations when most of their responders are committed n their normal day jobs. It is hoped that the officers will be able to provide a better more joined up service where officers visiting premises or engaging with community groups can not only deliver crime related advice but also fire safety advice that will protect people from harm. It has been suggested that PCSOs are taking the strain for overworked social services, mental health services, children’s homes and hospitals, fire service and now the ambulance service. We would love to know how you feel about the pilot scheme and whether it is positive thing to have more First Responders or a situation where follow up training and driver response training will not be provided and will result in a recipe for disaster.